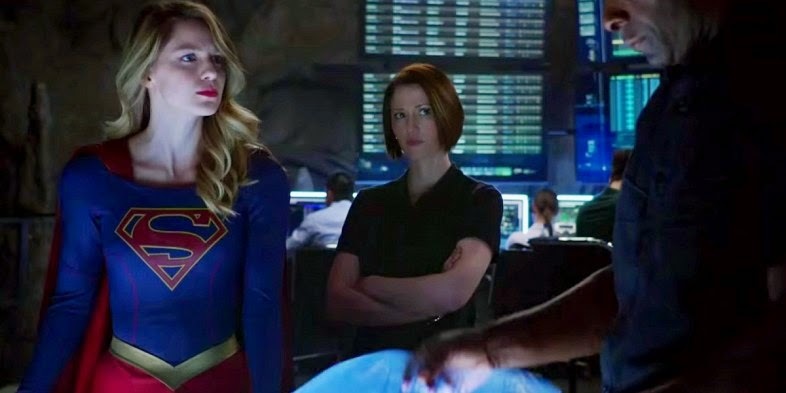 After the first Supergirl trailer was released yesterday by CBS, some fans likened it to SNL's Black Widow Rom-Com parody trailer. While yes there were some parallels, especially the bouncy pop soundtrack, the trailer ushered in the first superpowered female lead on television in this modern age of comic book TV. This latest trailer takes a more serious approach with traditional emphasis on powers and fighting scenes with the villain Vartox than on her interpersonal interactions. This trailer should appease some of those knee-jerk critics, but the internet is a fickle beast.